We headed out into the country early in the morning in search of GREAT GREY OWLS. 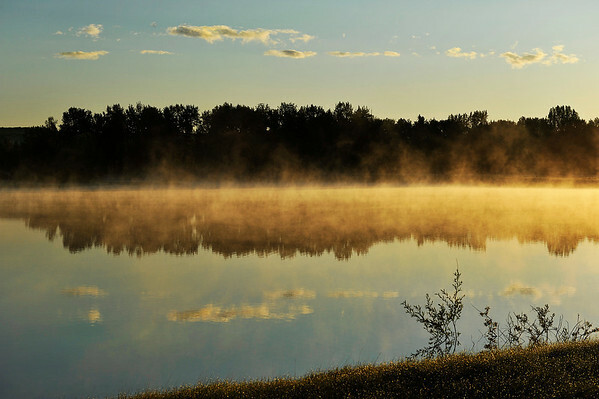 We were welcomed by the morning mist rising off the ponds. We were fortunate to see 4 GREAT GREY OWLETS, each with their own personality and unique appearance. The owls sat very quietly, making them difficult for us to see. I have included a few photos to show how difficult they are to see in their forest environment. A big bonus was finding an exquisite ORCHID tucked away on the forest floor.